The most lovable and friendly of all the Vehicroids. It can arm itself with training wheels!.. This card cannot be Normal Summoned or Set. This card cannot be Special Summoned except by the effect of “Transcendent Wings”. Tribute this face-up card on your side of the field to destroy all face-u.. If this card attacks your opponent's monster, increase the ATK of this card by 500 points during the Damage Step only. If this card is attacked by your opponent's monster, decrease the ATK of this car.. 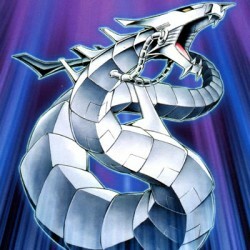 When this card is destroyed as a result of battle and sent to the Graveyard, ;you can Special Summon form your Deck 1 Machine-Type monster with an ATK of 1500 or less in face-up Attack Position. Then .. When this card is destroyed as a result of battle and sent to the Graveyard, add from your Graveyard to your hand 1 card that includes “Elemental Hero” in its card name, and 1 “Polymerization”..